I didn’t do a “what are you playing?” post for January, so instead I’m going to do one for this coming weekend. Weekends are people, too! So: What are you playing these days? I’ll go first: If you’ve been listening to our Kotaku Splitscreen podcast, you already know that I’ve been playing a lot of Assassin’s Creed Syndicate and Batman: Arkham Knight lately. I finally finished Syndicate last night—chapter 8 felt like filler, but I loved the final mission and the Jack the Ripper DLC sure starts off strong. I think Evie Frye is my new favorite character from that series? She’s at least tied with Old-Man Ezio. 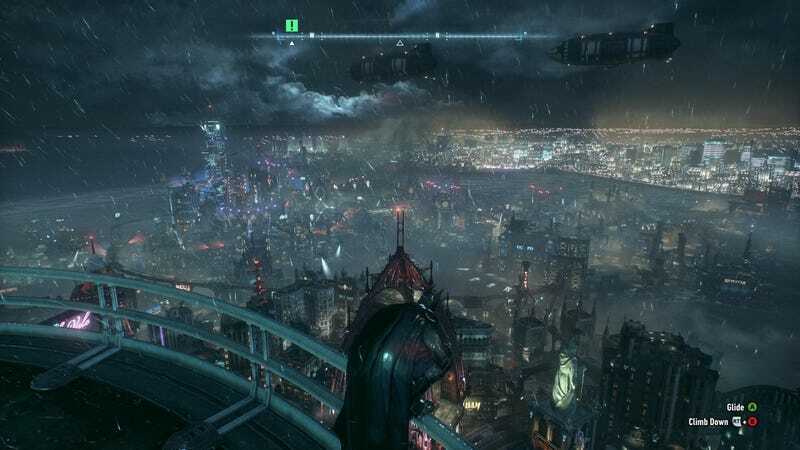 Arkham Knight finally works more or less “well” on my PC, so I’m playing through all the accumulated season pass DLC and replaying the story (I played on PS4 the first time). It’s been interesting playing through it again now that I know where everything’s going. I’ll write more about it soon. I’m also going to spend some time this weekend playing Oxenfree as well as Tharsis, both of which sound interesting. I’ve been playing Downwell on iOS but after trying it on PC with a controller, it’s hard to play the mobile version. I also started The Legend of Heroes: Trails of Cold Steel, which should make Jason very happy, provided I can actually sit down with my Vita and make some progress in the game. I’m sure there are a few I’m leaving off, but that’s more or less my baseline. What have you all been playing? Holler.